I made this hideous test model to try making displacement maps. 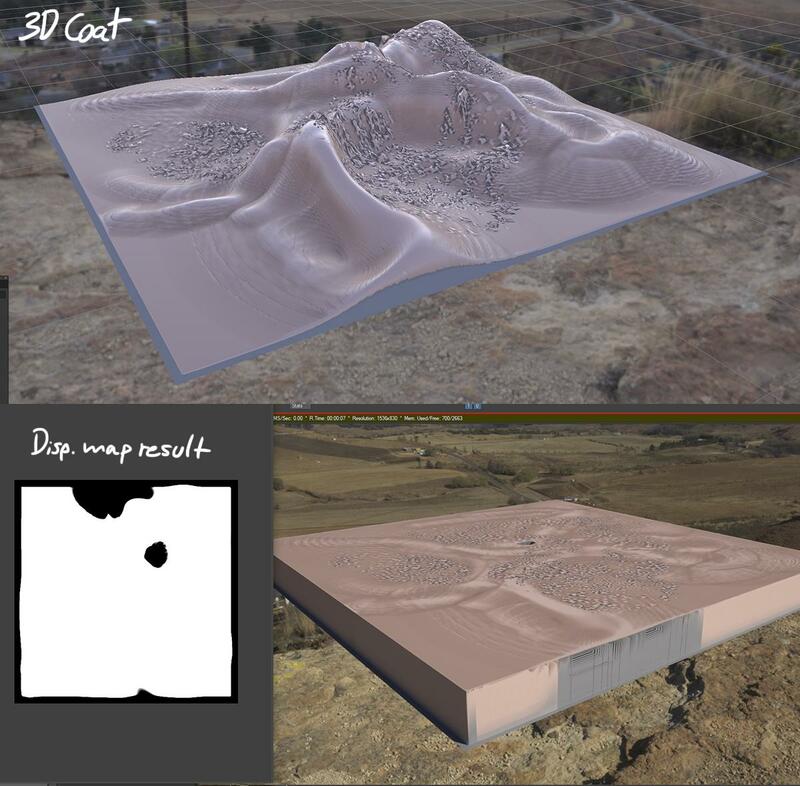 I baked it onto a plane to create a height map for displacement. Preview in 3dCoat looks identical to sculpt, but the exported map has only two values, extreme black and white. Result below. What could be the cause? I exported displacement as 32 bit tif. As exr it just becomes 50% grey. I was following this tutorial. Exporting the displacement map through Texture > Export > Displacement Map works fine, but when exporting through Export Object & Textures, I get the result in my post above. Hi, I export in both ways and I did not find differences. Have you tried using the latest version ? Using Zero level is black gives better compatibility sometimes. My version was not the latest. I'll check. Though - choosing zero level as black doesn't seem possible from the Export Objects & Textures menu, only if you pick 8 bit then 3dCoat will choose that, but 8-bit gets banding too much in rendering.